Obesity is one of the biggest public health challenges in the 21st century. Devising effective policy and practice to combat childhood obesity is a high priority for many governments and health professionals internationally. 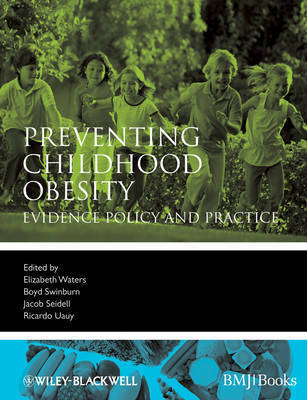 This book brings together contributors from around the world and showcases the latest evidence-based research on community and policy interventions to prevent unhealthy weight gain and improve the health and well-being of children. The authors highlight from the evidence available what is and what is not effective and provide recommendations on how to implement and evaluate promising interventions for obesity prevention. This book is an essential read for all public health practitioners, early childhood professionals, health care providers and clinicians working to reduce the prevalence of childhood obesity in their communities.